A definitive guide for landing a computer science internship - from someone who did! A definitive guide for landing a computer science internship – from someone who did! 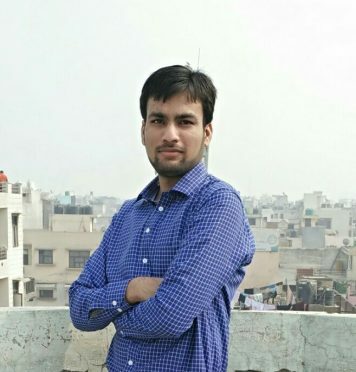 About the Author: Akshay Jain is pursuing B.Tech in Computer Science from Shaheed Sukhdev College of Business Studies. He talks about his struggle of finding an internship and shares insightful details about the steps he took to build his resume. I faced a few more rejections but with each rejection, I learned valuable lessons and understood the things that I needed to do. One of the important lessons that rejections taught me was never bowing down to failures. Sometimes, you might feel that there’s nothing that you can do to make things better, but, believe me, there’s always something to learn and improve. The second lesson was to work on the stuff that actually matters to an employer. I made a list of the things that made a good impression on interviewers and built my CV accordingly. Today, I’m doing my third internship with a much better stipend. • I took some online training programs to learn the skills that employers were looking for and which I lacked. • I started participating in online coding competitions and hackathons to improve my speed and to gain real-time experience. • I needed hands-on experience. I decided to gain some experience by working on some minor projects on my own using the knowledge that I gained from the internet. These projects helped me to understand some of the programming languages concepts that one can understand only after working on them. • I improved my Internshala Resume Score by including all these relevant additions to my resume – completed projects, online training programs that I undertook, my web-portfolio link on GitHub etc. This really helped me in initial shortlisting as employers could easily evaluate my performance. • I worked on my communication skills and also started spending time on researching about the company before interviews that helped me a lot during interviews. 1. A basic educational website – I learned Twitter bootstrap, HTML, CSS etc. 2. A chatroom – I learned Socket programming concepts, Socket.IO, and Node.js programming language. 3. A registration form – I understood the concept behind online application forms and learned how to make them secure using captcha code and OTP. Soon, after making all these changes, I got shortlisted again. I was given the task of building an online Bill Management Application in AngularJS in four days during the selection process. At that time I didn’t know much about AngularJS. So, I started learning it and after two days I started working on the task. After some difficulties, I somehow completed the task and submitted it. To my surprise, I got selected for the final technical interview round. In this round, they asked questions about how I completed that task and about the previous projects that I had mentioned in my resume. When I heard that I was finally selected for the internship, my happiness knew no bounds. The internship period of three months was simply amazing. I learned a lot of stuff like writing optimized code and always taking the backup of the code. I deep dived into some programming languages, APIs etc. and built some projects of my own like Personal Notes App, Toilet Finder App etc. I made the most of that opportunity and started building my portfolio – my own digital footprint. And no, we didn’t just work – we also played badminton every evening which was a great stress reliever. In the end, I would just like to advise all the students, who are looking for internships, to work on some meaningful minor projects and to spend time on building their resume. By working on such projects you’ll gain a lot of knowledge and experience which will give a huge boost both to your confidence and your resume. Inspired by Akshay’s journey and the tips he shared? Register and start applying for similar computer science internships. To learn new technical skills, you can check out these online training programs. Great work and planing Akshay. I totally appreciate your effort because I had also undergone similar kind of experience and college studies are not enough to get a internship. Presently I am going to join my third internship through internshala. Thanks internshala team for building such wonder app. Hello i posted lot of internship program on your internshala site and get 100% ++ result. such a too good and free internship portal in india. This is like the exclusive result provider for the how to find internet explorer in windows 10 http://mahjongfreegames.online/dimensions because I can say now this time browser has lots of new means which use in the further operations of the computer. This can even happen sometimes due to hackers. Issues with your database server. A number of things could be wrong on the web hosts end, such as the database being overloaded from a traffic spike or unresponsive from too many concurrent connections. Your article is very useful and knowledgeable post .